So I informally told her that for Christmas we need more images of angels as they are very versatile and can be used for different occasions. I knew she could create the most beautiful images. 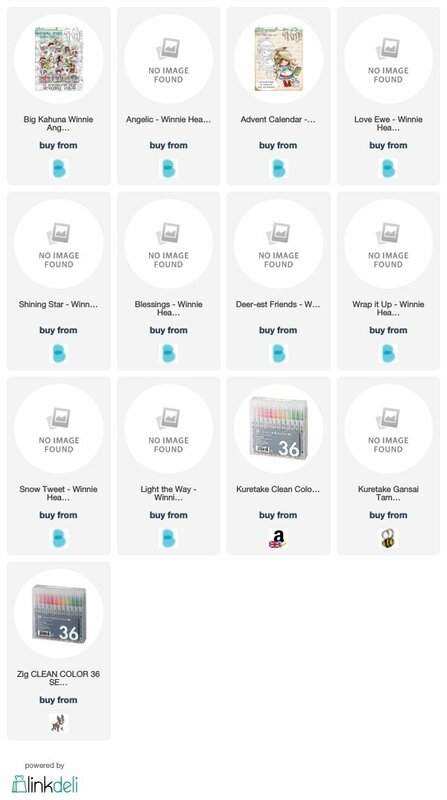 For my surprise, she sent me a happy mail filled with angel stamps!!! Look at that!!! They were in pre-production when she sent them but I really wanted to give them a try and share them with you. Aren't they gorgeous? 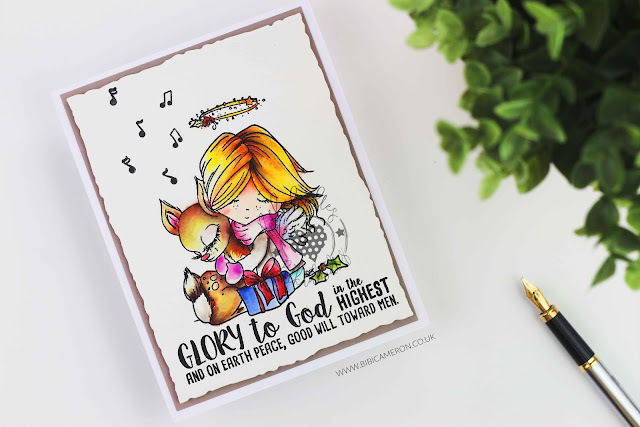 The stamp collection is called Winnie Heavenly and it is also available to download in digital here, you can also get a massive digi- bundle here and I think they are amazing value for money. 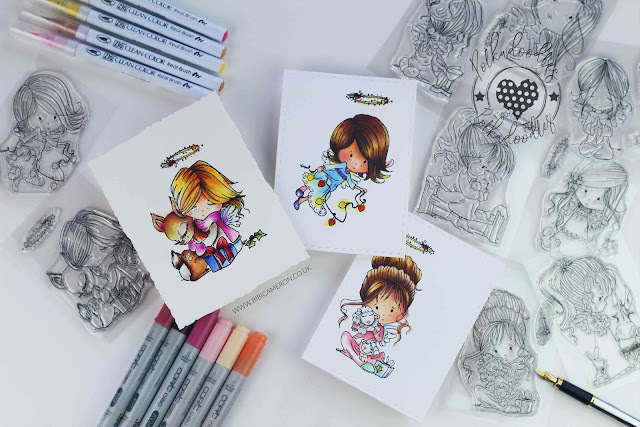 So I really enjoy adding colours to these images with waterbased markers on Arches watercolour paper, and with Copics on smooth cardstock .. they were very easy to colour. 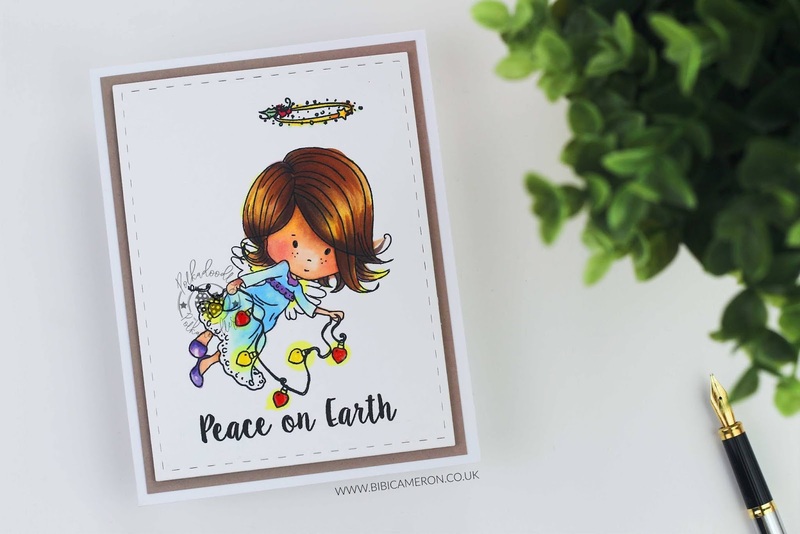 So I wanted to keep these cards very simple and clean to feature the stunning images and to complete these cards, I simply added a layer of Tip Taupe cardstock. 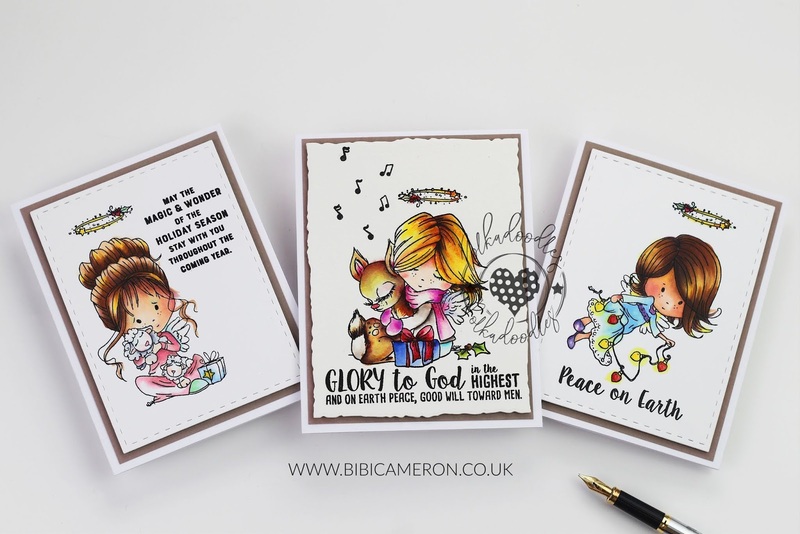 These are C6 cards, although the one in the centre is slightly larger as I used a C6 Honey Bee Stamps die from a die set called Deckled Edge A2 so I had to add ab it of extra length. 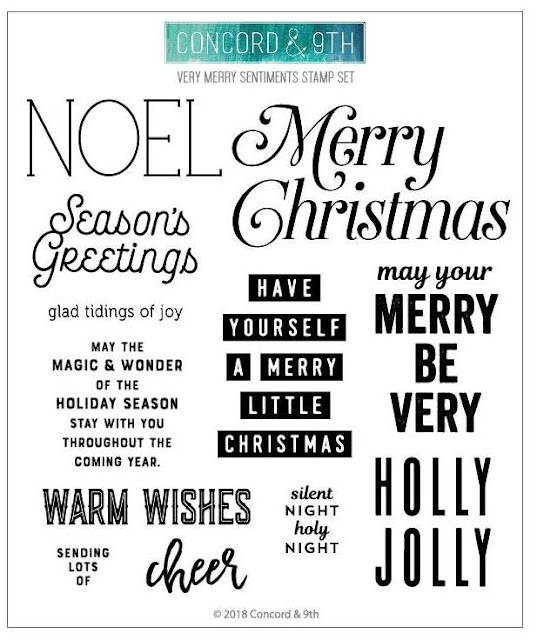 I'm never worried about the size of the cards BTW as I know you can make them in your favourite size. 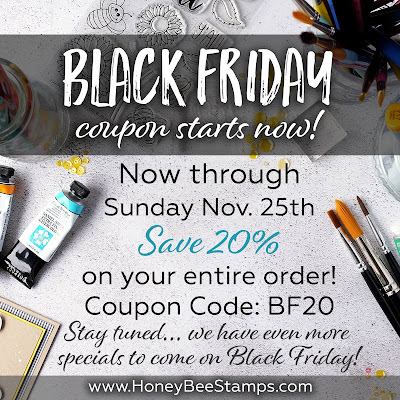 There is a promo over the Honey Bee Stamps shop here with the 20% off your order. I like to use the super black ink by Simon Says Stamp to stamp sentiments but this one is a bit thick to use on watercolour paper so using the stamping platform, I first stamped the sentiments with Versafine Black ink and then I stamped the sentiments again (twice) using Simon Says Stamp Balck Ink. The sentiments couldn't be any crispier and neat. To achieve very crisp stamped images ( the angels), I used the Tim Holtz Stamping Platform and I stamped 3 times using Memento Black ink to be used with Alcohol markers and Versafine Black Ink to use with waterbased markers. Each Ink has different properties and with the time I learned to take advantage of them :). For this card, I used Copics on Craft Perfect white Smooth cardstock. 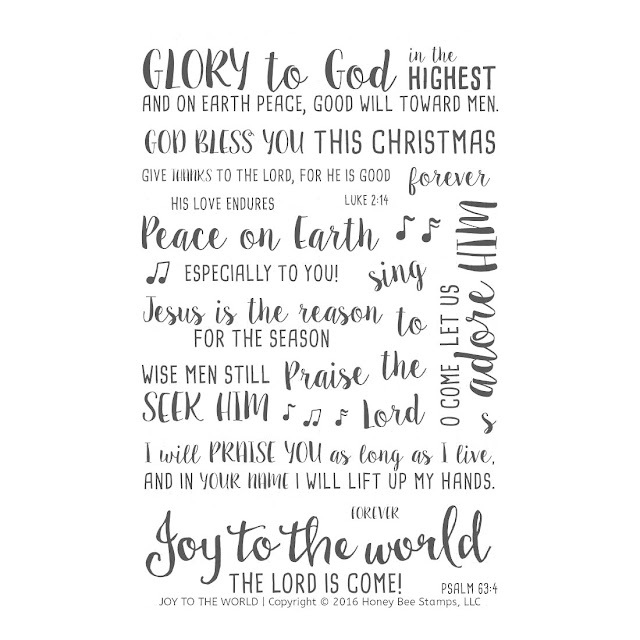 Polkadoodles do not have an affiliate program but I created a list to their shop so you can explore it and get wowed with the images you will find there. You can also click on the links in my post above to be redirected to Polkadoodles UK. They do offer international delivery. Other supplies used are also listed below. Oh Bibi these are awesome, they remind me of a story book set of illustrations I had in a book when I was little. I must have been in hiding to not have heard of this company on my short journey so far, off to see more. Thank you for my blast from early years.